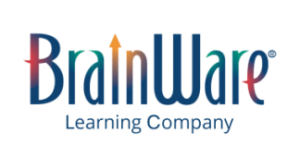 Award-winning BrainWare SAFARI builds 41 cognitive skills in 6 areas: Attention, Memory, Thinking, Visual Processing, Auditory Processing, and Sensory Integration. The 20 exercises in BrainWare SAFARI (most users call them games, rather than exercises – and that’s ok with us!) are based on decades of proven clinical practice. With 168 levels of progressive challenge and the motivation of a video game, BrainWare SAFARI is the complete brain-building package for kids of any age. See where you can take your brain! If you are younger than 13, please check with a parent to make sure it is ok with them for you to view this website. Your brain has developed to be unlike anyone else’s brain. Your brain has its own special strengths and areas that could be stronger, all because of the experiences you have had in your life. In fact, everything you do — at home, at school, or when playing a sport — is physically changing your brain. Some people think that you are born smart or dumb or somewhere in the middle, but that just isn’t true. What is true is that each of us can develop our intelligence, often way beyond anything we could have imagined. A willingness to fail. Yes, fail. It is almost never the case that you can do something well the first time you try it. You have to make mistakes so you can learn from them. A positive attitude. A well-known researcher (Carol Dweck) has discovered that individuals with what she called a “growth mindset” developed more intelligence that those who had a “fixed mindset.” Intelligence is not fixed; it’s something you can develop. Curiosity. What are some of the things that you wonder about? What are some things that just don’t make sense to you? Curiosity is great for a developing brain. Persistence. Here’s something that we know about perseverance … If you give up, you can’t succeed. If you keep trying, you may actually reach the stars. BrainWare SAFARI is more than brain teasers and puzzles. It works cognitive skills comprehensively to strengthen your ability to think, solve problems, take notes and remember information for tests. BrainWare SAFARI doesn’t just teach you how to compensate for weak processing areas. It uses your strengths to build weaker areas. While you're here, try some fun puzzles!